Sherlock Security sells, installs, and maintains complete integrated fire alarm systems. Our engineering manager will work with your property owner, general contractor, electrical contractor, and other engineering firm to design and supply a fire alarm system to meet your facility protection requirements. Sherlock stocks an extensive inventory of replacement parts for systems that it sells and services. Our service manager will oversee the project from the beginning to completion. Some projects require only the equipment and programming; some projects require our technicians to run wire, bend pipe, and install devices. Lastly, most projects require inspection and approval by the NYC Fire Department. Sherlock will file, arrange, and expedite the inspection date and letter of approval. Sherlock also provides maintenance contracts; timely inspections and cleaning of devices as required. 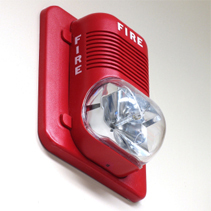 The National Fire Protection Association (NFPA) mandates that fire alarm systems be tested at least annually. Sherlock will also service and test all major fire alarm systems installed by others. Sherlock will assist in removing all NYC Fire Department violations. We install burglar alarm systems rated by U.L Grade A, AA with all extents of protection, including safes, vaults, and panic alarms. 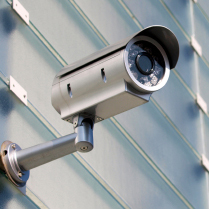 We offer different security options to meet your facility protection requirement or insurance requirements. We also install wireless systems. All security systems can generate weekly reports detailing at what time your business was opened and closed each day by which user. We provide backup security using the digital cellular GSM/GPRS data network. Cellular communication can also be used to send wireless signals to central station when no phone lines are present. With the built in cellular card, users also have the ability to send commands via text messages to the panel to remotely control their systems; arm or disarm their system, retrieve system status, and receive instant critical notifications. Sherlock offers 24 hour central station monitoring service for all fire, supervisory, and burglar installations. The central station monitoring is U.L. Approved and NYC Fire Department approved. We can also provide central station monitoring for existing fire alarm systems. Supervisory systems can monitor freezer temperature levels, water tank levels, and flood levels. For burglar alarm systems, central station can dispatch armed guards in addition to the local police authorities. Sherlock can design, supply, and install a complete access control system with a control panel, proximity card readers, cards & key fobs. It can be integrated to work with the burglar alarm system. Access control systems can be customized to enable different users to access certain areas at scheduled times. Sherlock can provide the software to add or change access authority levels for all employees. Access systems create a detailed audit trail to see exactly when and whose card opened a door. We utilize the latest technology for closed circuit TV systems such as Live Internet Monitoring and digital recording systems. Cameras can be viewed at any remote location worldwide via the internet or wireless browser device. Sherlock can provide discreet cameras for hidden applications.